It started this same time last year. 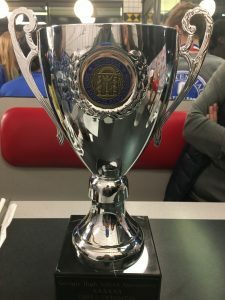 The 2018 version of the Knights finished 3rd. The 2019 Senior class immediately started pointing to 2019 as “the year.” The year that Centennial would bring home it’s second girls swimming state title in school history and third in any sport. Saturday night at Georgia Tech Aquatic Center they brought home the championship in dominating fashion. Centennial outdistanced second place Alpharetta 329-263. Leaving no doubt who the best team in the state was. 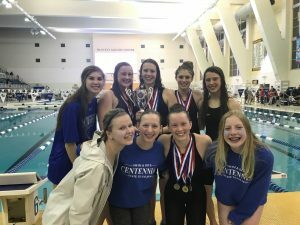 Of the 11 girls swim events, Centennial took home state championships in 5 of them. They were on the podium in 3 others!! 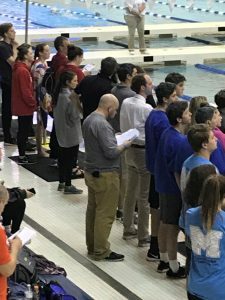 Coach Burch, Coach Slade, and Coach Jacobi spent most of their night walking from their coaching perch to the podium and back. It was that good of a showing for Centennial. 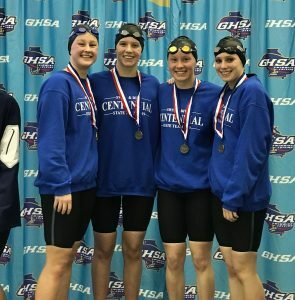 The girls medley relay team of Elly Deas, Katharine Ward, Tessa Sergile, and Madeline Singletary flexed their muscle early. Walking out to their own walk up music, AJR’s “Burn The House Down”, as the number 1 seed they had huge targets on their back. Everyone knew they were the team to beat. The Knights lead wire to wire over Alpharetta and set the tone early in the meet that the pressure would not get to them. 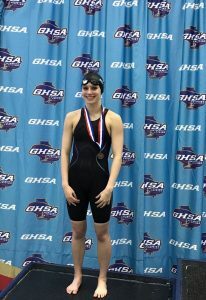 In a tough back to back, Madeline Singletary went right back to work in the 200 Freestyle and held her spot at third to finish on the podium. Madeline’s finish on the podium would be her first of many on the night and in her Centennial career. Next up was Katharine Ward in the 200IM. 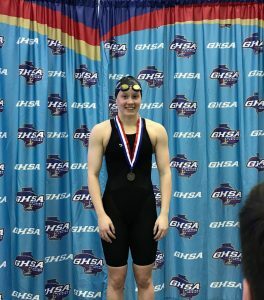 Katharine won the 200IM in 2018 as a Sophomore but was not the #1 seed going into the 2019 finals. You have to be a good breaststroker to win the 200IM, but Katharine’s strength is her mastery of all disciplines. 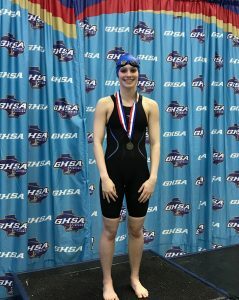 It was on display in this, her second straight year as 200IM state champ. Katharine was second after the fly (1st stroke) and took over the lead after the back (2nd). She then lead the rest of the way and completed the event in All American Consideration time. Three events and three podiums so far for the Knights. The Knights couldn’t have become state champs without some youngsters helping out as well. A group of talented young swimmers were able contribute some unexpected points to the Knights tally on this championship night. Freshman Hannah Collerette (7th in 50FR), Sophomore Venla Harkonen (5th in 500FR), Junior Alexis Bender (7th in 100BR), and the 200FR relay team of Collerette, Harkonen, Freshman Gabby Born, and Bender (7th). 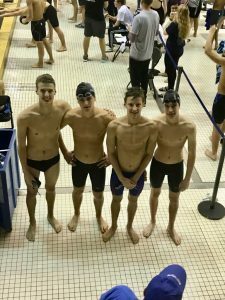 All of these swims were points that the Knights desperately needed to add depth to their points total that pushed them across the finish line. Sophomore Madeline Singletary then found the top of the podium for the first time in her career as a Knight. Madeline was 10 seconds ahead of the second place finisher!!! She easily cruised to a state championship in the toughest race. Madeline was also able to post her first All American Consideration Time. 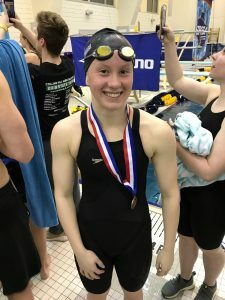 As just a Sophomore, Madeline has a very bright future ahead of her as one of the state’s most dominant distance freestylers. Next up, it was Seniors Elly Deas and Tessa Sergile to lead the Knights back to the podium in the 100FL. Elly finished with the silver medal and was back on the podium. 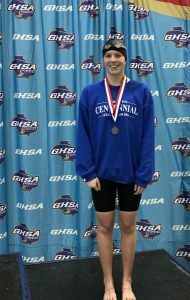 Tessa swam a personal best time in her last individual high school swim of her career and placed fifth. Elly Deas then got right back in the water for her best stroke, the 100BK. Elly absolutely dominated this event all weekend long. In prelims, she broke her own school record and swam a time of 55.79 which is fast enough for All American Consideration. The Knights second of five on the night. She lead wire to wire in finals easily outdistancing the second place swimmer by over 1.5 seconds. 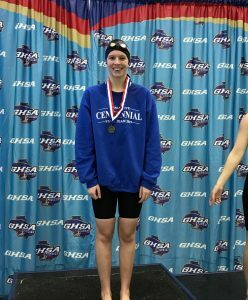 With multiple state titles in the 100BK, medley relay, and 400FR relay and two individual school records, Elly leaves Centennial as the most decorated girls swimmer in the program’s 20+ year history. Once again, the Knights relay team of Elly Deas, Tessa Sergile, Katharine Ward, and Madeline Singletary came out as the 1 seed. With a state championship already in hand, the Knights played it safe throughout the race. Making safe exchanges to ensure there was no doubt. It was a victory lap of sorts. The Knights All American Consideration time of 3:31.07 easily outpaced second place Alpharetta by over 6 seconds. After the final race, the girls embraced. Their dominant night was over, and they had done it like always. Together. When your counterparts win a state title, it’s easy to get over looked. 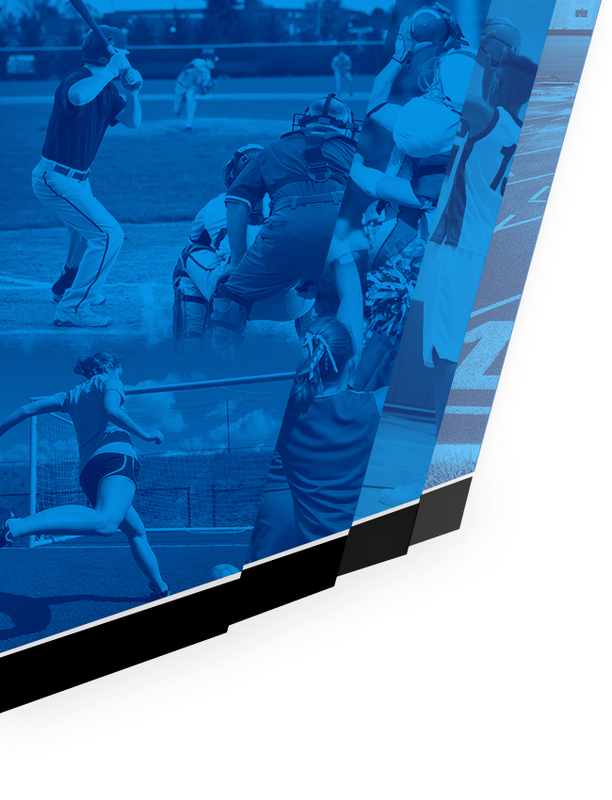 But what the boys have built over the last four years is a consistent program. 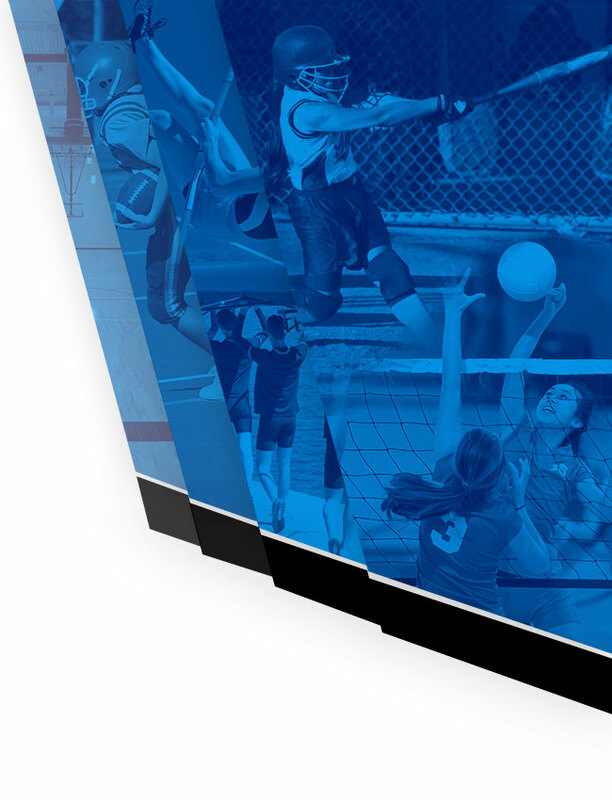 With an exceptionally young team, Centennial placed 7th in 6A. On the strength of diving, 2 relays and a podium finish by Freshman Sebastien Sergile in the 500 Freestyle, all of the Knight’s points will return next year. With some promising talent coming into the program next year, this group of boys has laid a great foundation for success on the boy’s side. 1 Meter Diving (4th place) – Camden Bowers. A new high for Centennial diving. This added component to our repertoire was a much needed addition. 500 Freestyle (3rd place finish) – Sebastien Sergile. Sebastien was the baby in a grueling race. 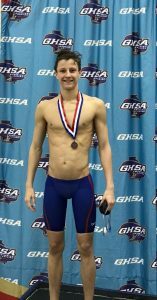 On a night when the oldest national high school record on the books (1983) was broken by a Mill Creek swimmer, Sebastien swam his race and kept his composure in a race that’s just as tough mentally as it is physically. Sebastien swam a best time and was only out touched by Junior swimmers from other schools. A final thank you to all the State Swimmers this weekend. You and your parents were amazing. You all swam and dove great!!! 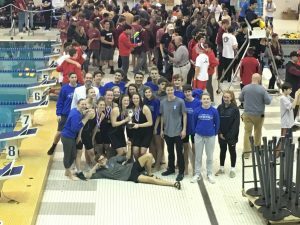 And in true Centennial fashion, the support on Saturday from swimmers, parents, family, friends, and alumni who didn’t have a swim was terrific. Thank you all. 2019 State Champs!!! !